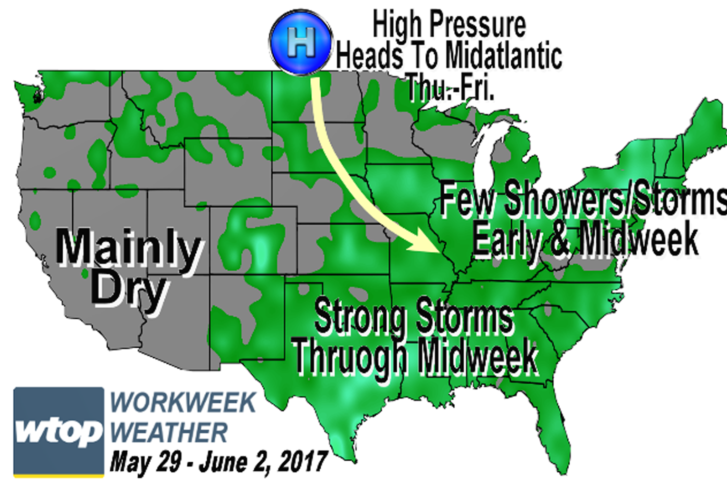 This same dome of high pressure will continue to dominate the weather pattern for the entire week. This will mean some temperature swings, but it also means almost no chance of needed rain until almost Friday. High pressure that has been keeping it dry and unseasonably warm will remain in control of the weather, but some interactions with Hurricane Maria will bring some caveats. 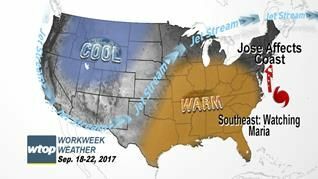 Though the autumnal equinox is this Friday, it won’t feel like a change of seasons. 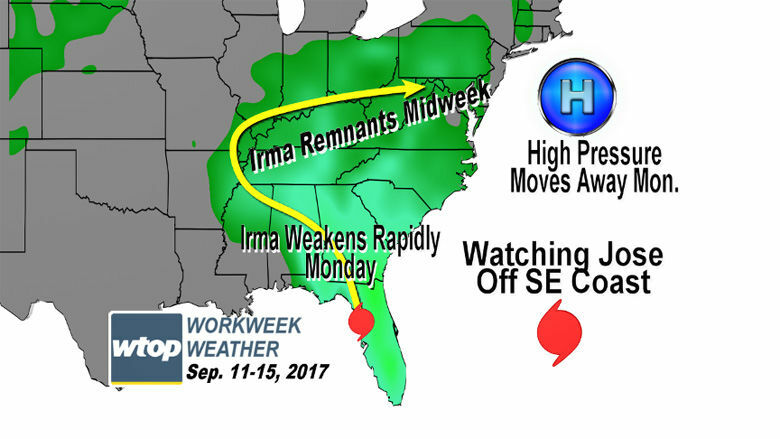 See what to expect this week and how the approach of Hurricane Jose will impact the weather. 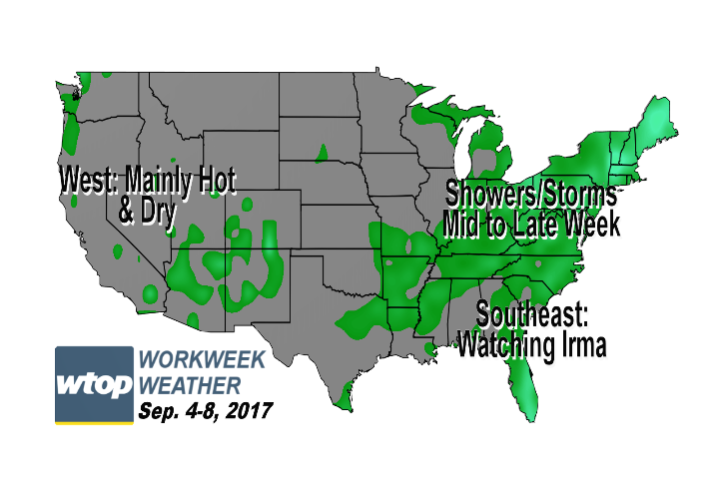 Take a look at Irma’s track as it makes its way north and its impact on this week’s weather. 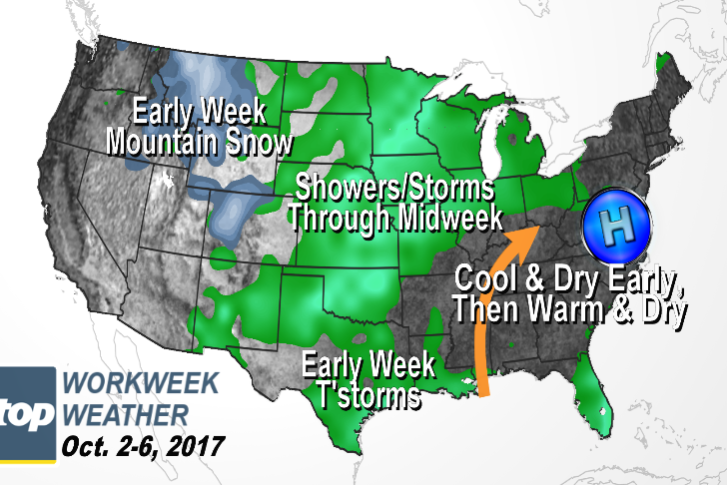 This week, temperatures will see some ups and downs and there will be a dose of soaking rainfall. 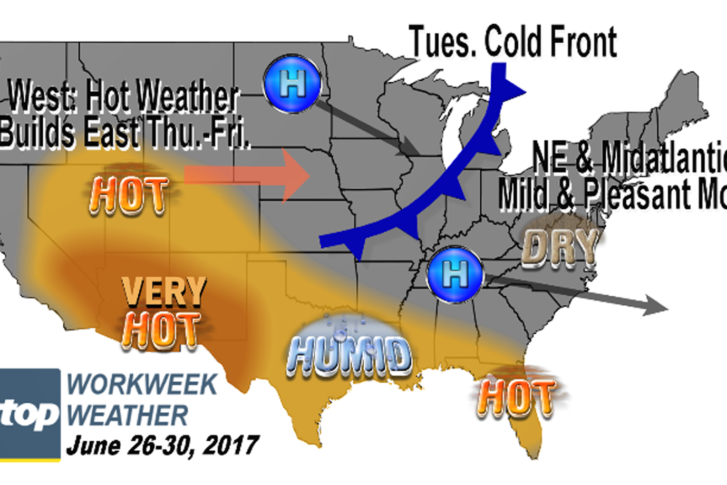 Monday could be muggy with warmer temperatures coming later in the week. 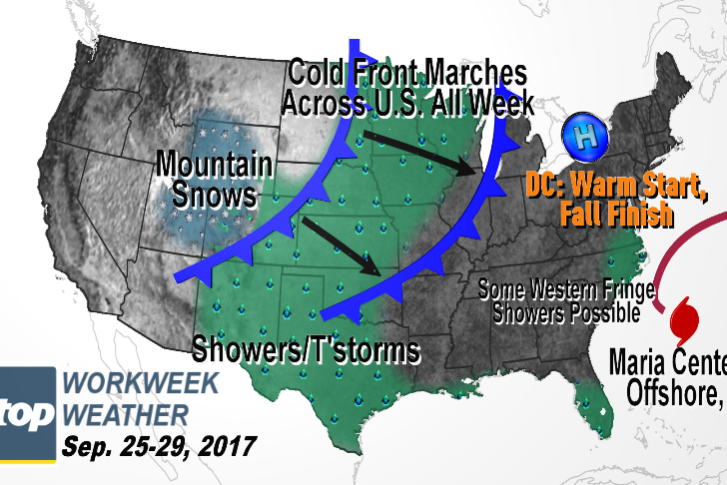 Here’s what you need to know about the workweek weather. 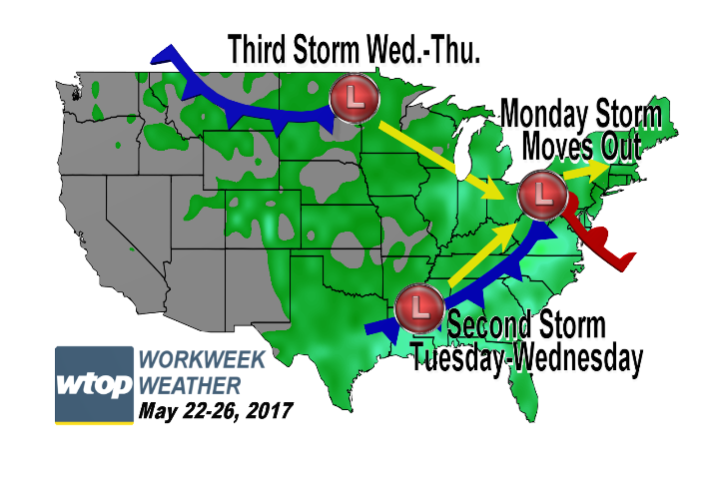 Scattered showers and thunderstorms will kick off the week, but the middle of the workweek will get more sun. 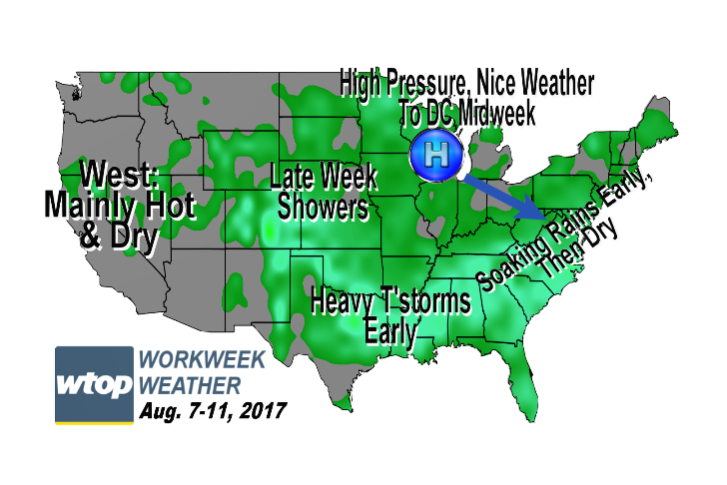 It seems like in the summer, anytime we have a day or two of really nice weather, we have to pay for it with hot and humid weather a few days later. This week is no exception. 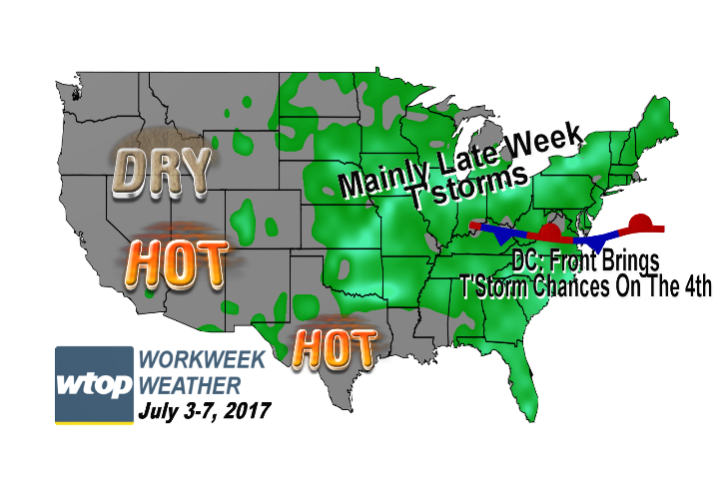 The weather won’t interfere for the most part for anyone who does have to work during the first workweek of July, which is abbreviated. 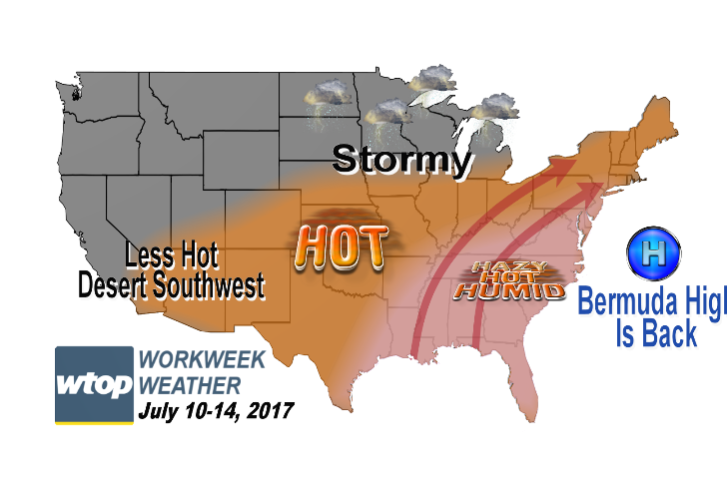 Despite the lack of big weather events, it’s actually going to be quite comfortable for most of the workweek. But by Friday, it will start getting uncomfortably humid again. 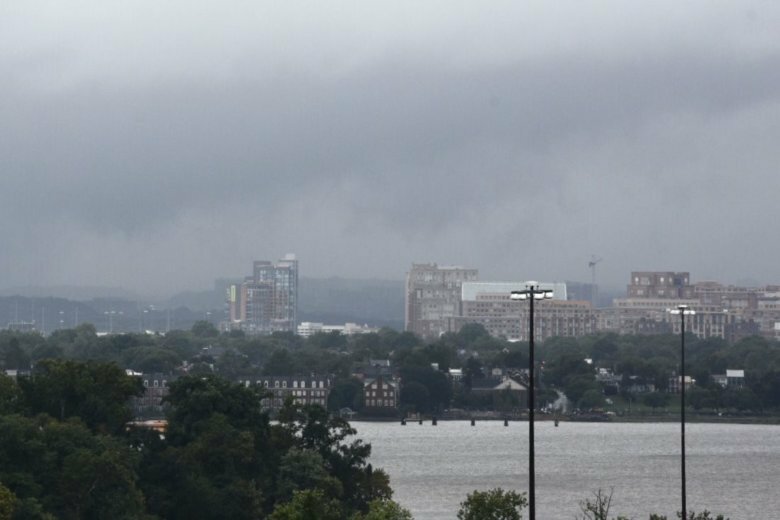 Meteorologist Matt Ritter says this week’s rain will help the region’s drought problem, which has seen drastic improvements in the past month. Though we can still use more rain to make up our multiyear deficit, we are not going to get it this week. 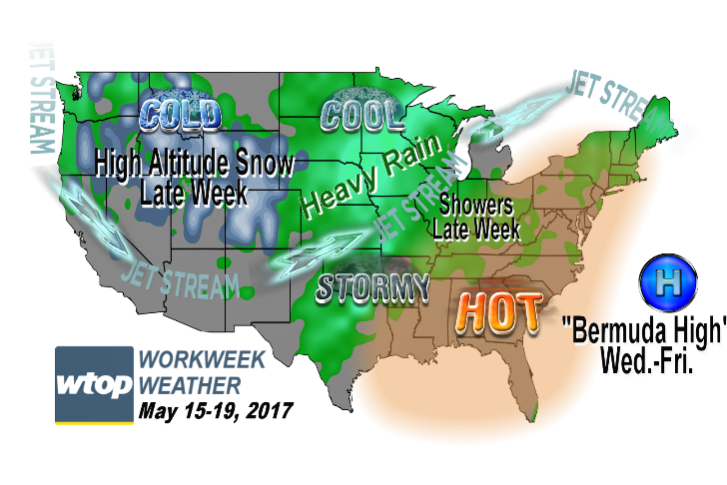 In fact, it looks like another preview of summer weather is on the way.